Creating choral music to inspire! We look forward to welcoming all alumni and guest at our 20th Anniversary Concert. A new look for us ~ take it out for a spin! Tickets ~ Concerts ~ Recordings - Auditions - Slideshows ~ Reviews ~ It's all here! Get your tickets on-line via Brown Paper Tickets! Advance tickets are sold on-line via Brown Paper Tickets. Watch the website for the latest info about getting tickets. We seek experienced choral musicians in all sections. Auditions occur in August for the 2019-2020 season. Learn about our achievements in our rich 20 year history to become a premiere community choir in Wisconsin. Our 20th Anniversary continues in the new year! Our Artistic Directors, Dr. Bob Gehrenbeck and founding director, Dr. Gary McKercher, created uniquely imaginative programming, delighting our audiences for 20 years. We may not have had smartphones when the choir began in 1998, but we always had a camera to capture the moment. Learn more about our Artistic Director, Dr. Bob Gehrenbeck, and the other people who have made our choir what it is today. Read what the critics have had to say about our performances. Making great music is not free! Consider a gift to the choir by using Pay Pal or by snail mailing a check. All amounts, big and small, help us to bring you great choral music. 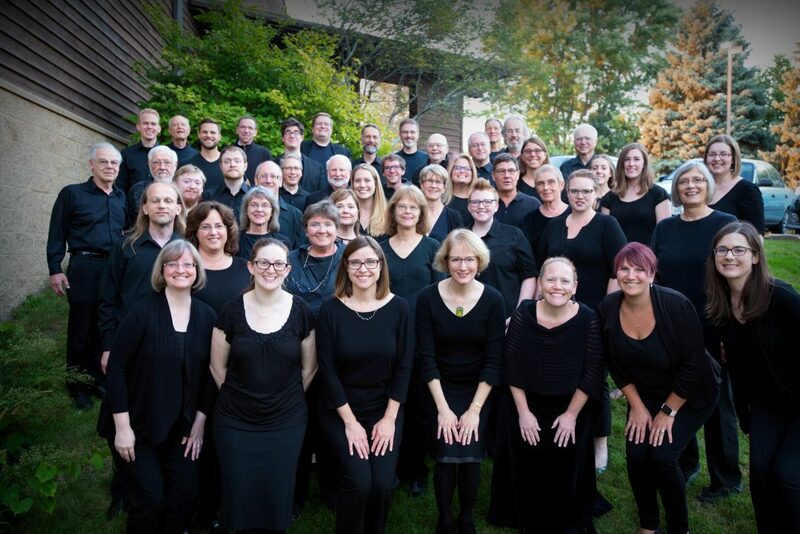 Wisconsin Chamber Choir is a registered 501c3 with the IRS. What have we done? Lots of stuff! 20 years and hundreds of wonderful pieces of music in the rich and diverse choral repertoire. Take a look at our repertoire here. Sopranos and Altos and Tenors and Basses - Oh My! The latest info pertinent to our choir members. Password protected. 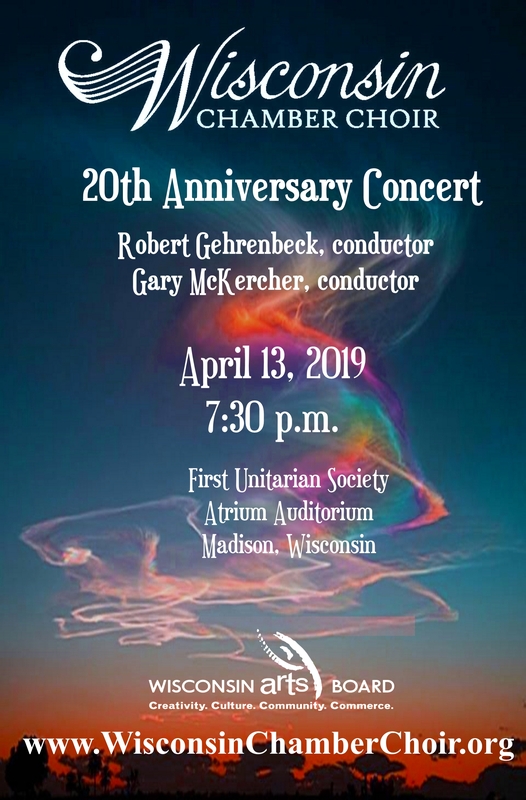 We will feature our favorite music from our 20 years together including guest conductor, Dr. Gary McKercher, who will share the conducting duties with Dr. Gehrenbeck! Mark your calendar for April 13, 2019 (7:30 pm) at the beautiful First Unitarian Society Atrium Auditorium in Madison. We will have a few surprises for everyone as we feature the very best of our 20 years together. Join us for our 20th Anniversary Concert on April 13. Tickets are on sale now through Brown Paper Tickets.